Play the full or 90 second version of the consumer video on your website and in model homes. Co-brand the video by adding your logo. Learn more. Order free copies of the consumer brochure or download and co-brand the trifold version. Learn more. Promote your partnership by using the familiar ENERGY STAR marks. Learn more. 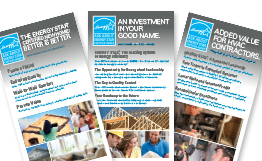 Add your company logo to three stand-alone banners that promote ENERGY STAR certified new homes. Learn more. Deliver this presentation (2.8MB) to groups, or adapt the speaker notes (35KB) for a smaller meeting. Hand out this leave-behind (89KB) on getting started. If you can't speak with a contractor directly, share this recorded presentation (7.8MB). Take charge. At this point, many HVAC contractors have heard about credentialing through the grapevine. Don't let your contractor make a decision based on inaccurate information. If you haven't spoken with your contractor about the value of becoming credentialed to work on ENERGY STAR certified homes, use EPA's HVAC contractor recruitment tools to do it now. Explain the opportunity. This is an investment for contractors, so explain it that way. Credentialed contractors will gain access to ENERGY STAR builder partners and earn a powerful marketing tool that can help them grow their sales and reduce callbacks. 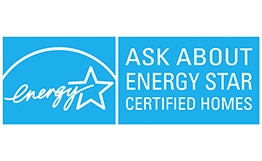 Explain your own commitment to ENERGY STAR and your hope to work with them as a credentialed contractor. Be ready for follow-up. Most contractors will need some additional information or may have some specific technical needs. Try to connect them with resources such as those provided at www.energystar.gov/newhomesHVAC and contact energystarhomes@energystar.gov if you need help. Promote your allies. HVAC contractors who are committed to being market leaders are some of your best allies. Invite them to speak alongside you for local building and real estate trade groups, ask them present or exhibit with you at home shows, or ask them to train your sales staff on selling the benefits of high-quality HVAC systems. Work with your builders. Before starting, be sure to ask your builders whether they would like you to speak directly to their HVAC contractor and, if so, whether or not they would like to be a part of the discussion. Pick the right venue. The best discussions are educational and supportive, not confrontational or demanding. Addressing a group of HVAC contractors through a local trade association or equipment distributor is often the most effective way to introduce the topic. Use the EPA's presentation and speaker notes to explain the opportunity. Respect the expert. If you don't have a relationship with the contractor, understand that you could be viewed as a threat to their credibility. Work to earn their respect with your knowledge of ENERGY STAR and willingness to help them make this work. Be clear that this program is based on above-code best practices, so you're not suggesting that they're doing anything wrong, you're explaining a program to help them excel. Pass it on. The quickest and easiest step is to send the HVAC contractor recruitment toolkit to your program partners and encourage them to act now. EPA has sent these resources to all builder and Rater partners, but hearing directly from program sponsors is often highly motivating. Engage contractors directly. 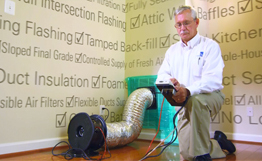 The single most effective action that sponsors can take is to speak with HVAC contractors directly. Local trade association chapters and distributors have been powerful allies for many sponsors. Contact organizations in your area and offer to educate their contractors on ENERGY STAR's HVAC credentialing requirement. Use the toolkit materials to explain the opportunity that it presents and to give them leave-behind instructions. Ask for help. 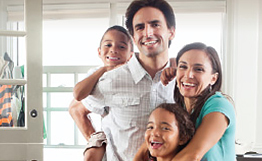 If you want to do something but need some support, contact energystarhomes@energystar.gov.